Read about leg 1(day 1) here. Route: the route is straightforward. 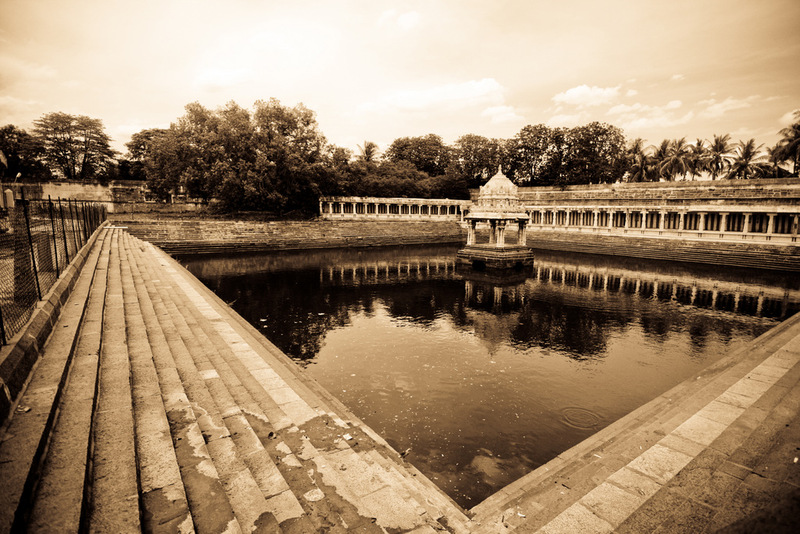 you need to continue to Chennai for Kanchipuram. 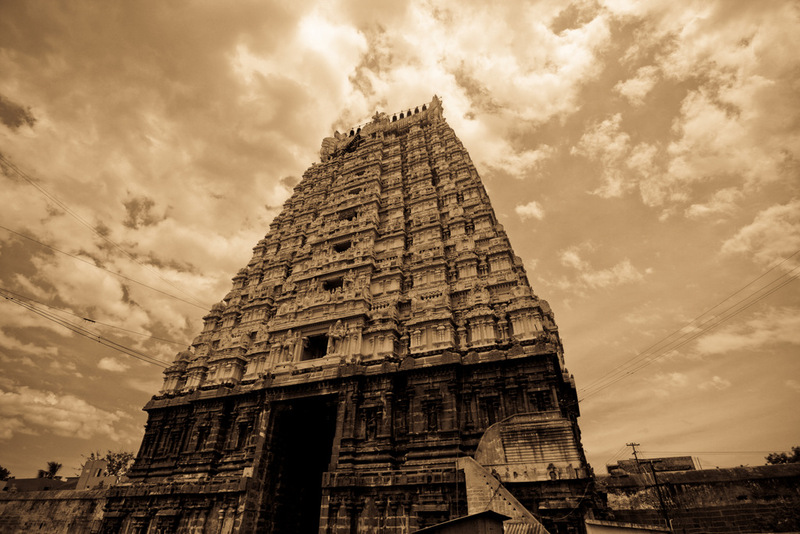 the distance is approx 70 kms to kanchipuram. from the main road, there is a signal to turn inside for Kanchipuram, from where it is 10 kms. Road condition: This is a gem of a road. we could get to the national highway in exact 1 min after leaving GRT sameera. This road falls under the golden quadrilateral and is amazing cruiser. we were starting around 8:30 am and the traffic was quite low. the amount of diversions though continued. once your turn into kanchipuram, the roads aren't best, but within the city again the roads are good. Stop overs: we didnt stop on the way, however, i learnt later that the huge temple we saw on the way, was the famous temple of Ratnagiri. recommend you to stop over there. while there are a lot of tea shops and small hotels, i didnt notice any good hotels on this stretch. Travel time: from Vellore to Kanchipuram, the distance of 70 can be easily done in around 30-40 mins of casual driving. Fuel: ample fuel stations on this stretch. 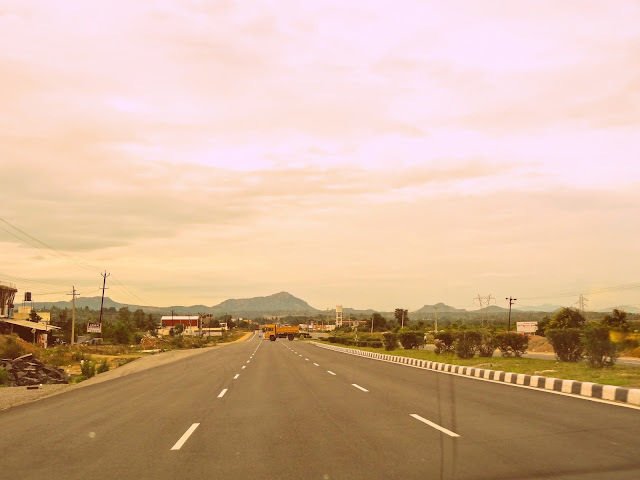 i am in love with the NH7 and the golden quadrilateral for all such aspects. 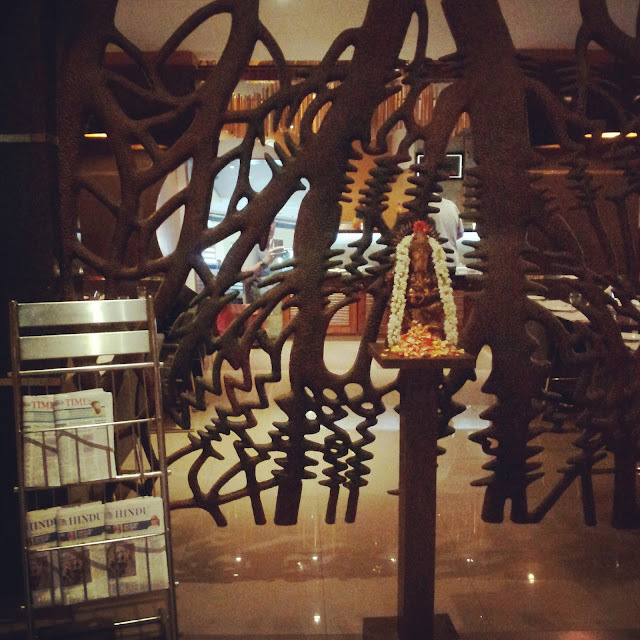 Options to eat: On the way, i didnt see much happening, but kanchipuram is a modern city now. it has almost everything which you may need while traveling there. from famous stores, eateries to shopping, and of-course its world famous silk Sarees. Options to stay: Here too, we stayed at GRT regency. the place was decent, though a little aging. its on the Gandhi road, and it is very easy to miss it, since the opening on the front is small. i felt for the price it is still average, and noticed much better hotels around. though, as a Brand, i can still trust GRT. the quality of the building is nice, though as i mentioned, it is not that contemporary as GRT sameera was, or as i felt some other hotels were. the buffet was included in the stay, but that also looked very average. note, we didn't eat here but took some for my daughter. GRT had 24 hours room service. that was very nice. while it seems quite modern city, we had difficulty finding a pizza hut/dominos for my daughter. the map took us into a unknown place and after 30 mins of searching and driving around, we gave up. The temples close by 12:30 and normally open by 3:30 pm. plan accordingly if visiting a temple. Photography at temples is a huge confusion. at temples like Tirupati, or golden temple, the devices are not allowed to enter the complex, but everywhere else it is different. Most of the temples, they don't let you click if they see you but everyone takes pictures. so, take a call accordingly. 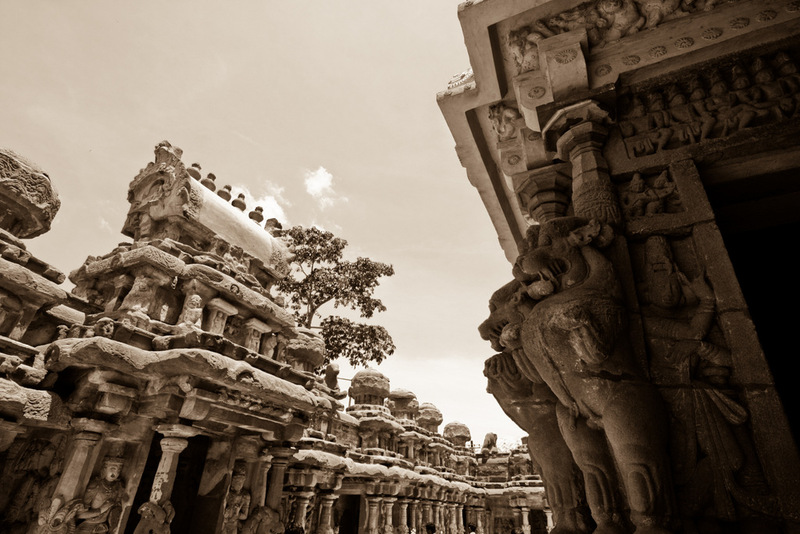 You should plan atleast 2-3 days for Kanchipuram. there is so much to see, that one day wasn't enough by any means. of-course more time will help in visiting much more places, peacefully. we could only do 5 temples. the 5th one was absolutely on the edge of its closing time, so we had to rush through the temple. Drink lot of water during moving around. 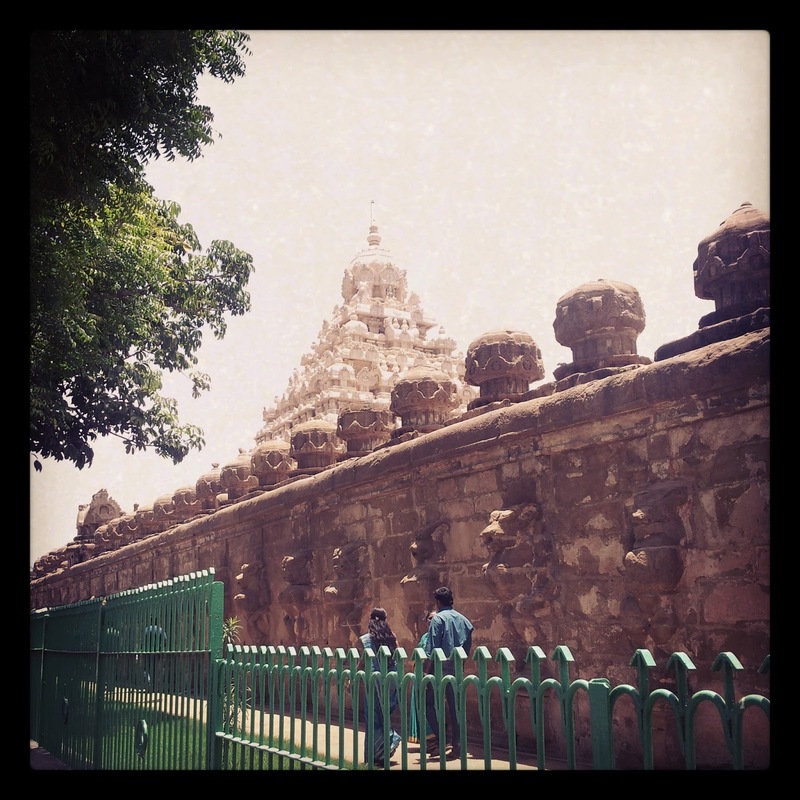 it is normally hot around kanchipuram and you could get dehydrated quickly with moving between temples and sun. carrying caps, sun lotion is highly recommended. We visited the Kailasanatha Temple first in the morning. got ready after arriving at GRT. the lady at the reception gave us a map with 5 top temples to be visited. we chose kailasanatha temple first. this turned to be my favorite. find the details of the temple here. We were just enchanted by the detailing and how it has aged through the times. truly timeless. another aspect which i loved about kanchipuram was that most of the temples and places were heavily crowded, so its much more relaxed experience. kailasanatha temple was no exception that. Time taken to see it: 1 hour. amenities near by: small shops nearby else very close to the main town, so doesn't pose any particular issue. 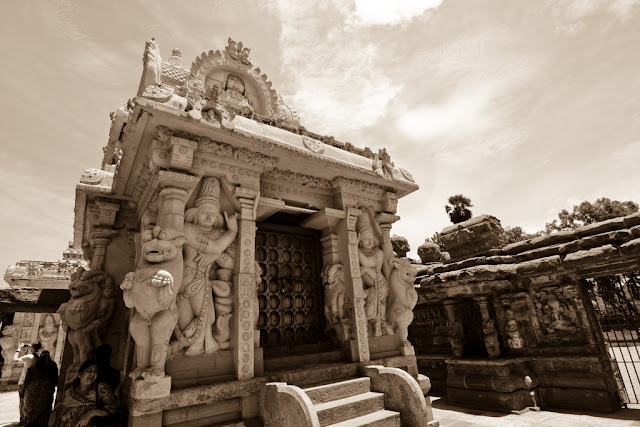 Next we went to the Ekambaranatha/ekambareshwar Temple. the temple was going to close soon, so rushed. 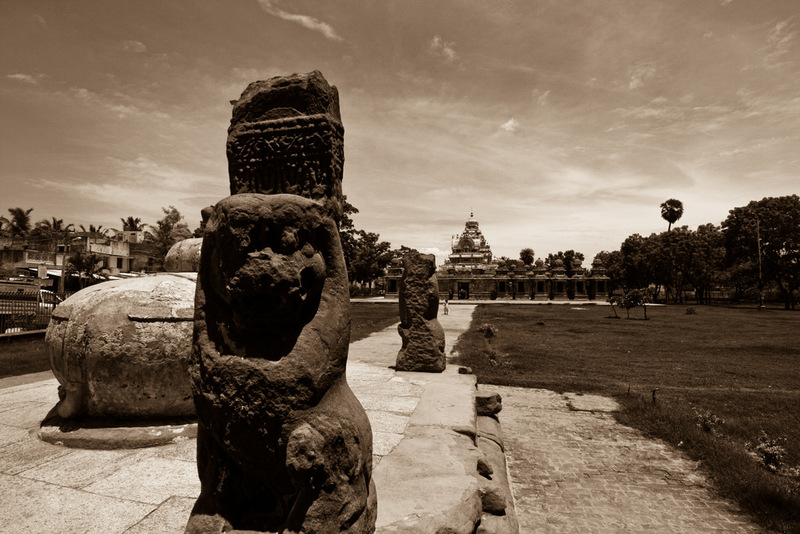 it has some ground to cover before you could reach the main temple premise. another very beautiful and large scale temple. 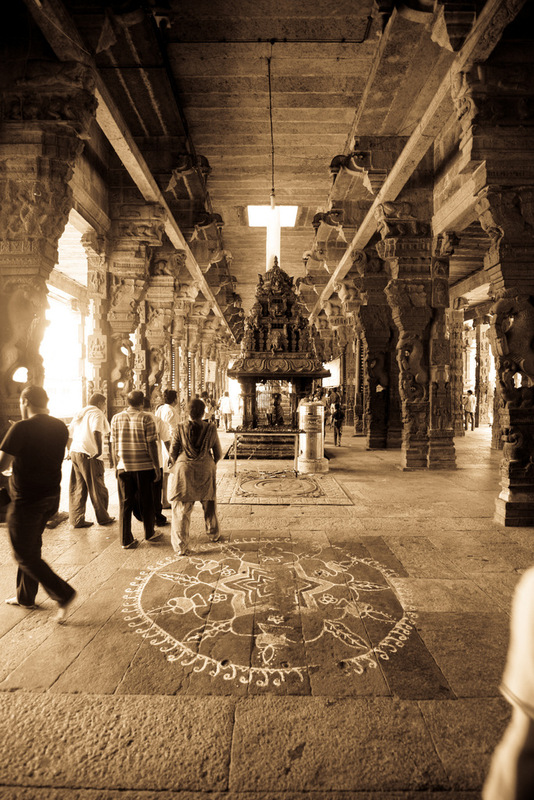 while Kailasanatha is an old and frail temple, this is massive in size and has so much to see from inside. took us good 2 hours to explore this place. It has a 3000 years old mango tree, and then so very powerful deities as per the locals.Time take to see it: 2 hours. 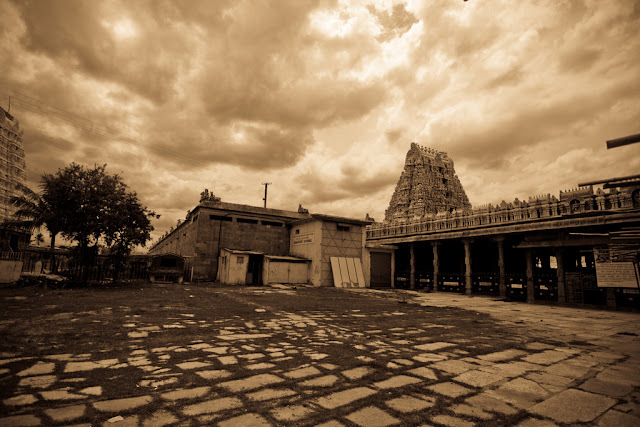 amenities near by: the temple is in kanchipuram village, all surrounded by colony so no issues finding what you want. Other places visited:- After we came out of the temple, we knew that this time of the day, most of temples would have closed down. hence, we just headed for a nice lunch at Adiyar anand bhawan. the lunch variety wasnt huge but the taste was good. after that we went back to the hotel. 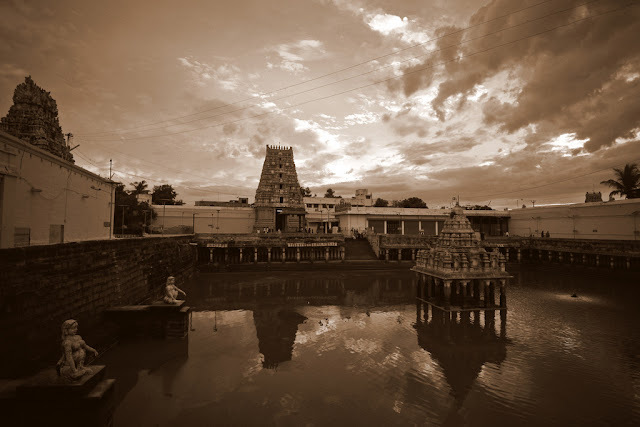 in the late afternoon, we started and covered kamakshi amman temple, and hurriedly towards the late evening covered varadhanraj perumal temple. a long day, ended up in search of a good eating joint, and a nice 14 mini idly meal at sarvana bhawan, kanchipuram. it was time to head back to hotel, and next day to tirupati, but i was still enchanted by the beauty and history of kanchipuram, and was feeling that i could stay here for couple more days and see much more, but then with this thoughts, i went to bed, preparing for the start early morning towards tirupati. One of the deities at the ekambarnatha temple. serene temple. Kailashnatha temple. from the parking on the street, from my phone camera. Kailashnatha temple from a distance, where nandi sits at the entrance. Kailashnatha temple and its beautiful temple. Ekambarnatha temple and its entrance. inside, i didnt click much since if seen, they forbid to take pictures. but strangely at the temple entrace, charge for a camera fee. Pond inside the temple-ekambarnatha temple. While entering the temple. ekambarnatha temple. 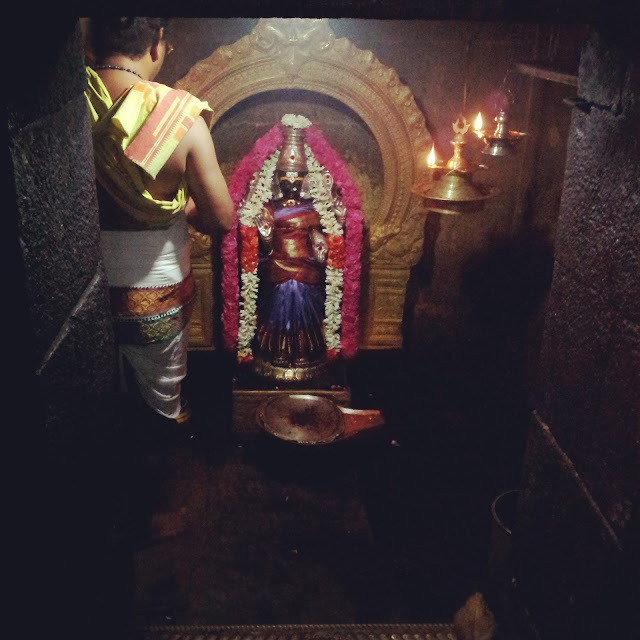 Insides of kamachi amma temple. very beautiful and surreal. If you would like to buy this photograph for commercial use or would like to buy rights to this photography, contact me at quitefar@gmail.com for further details.